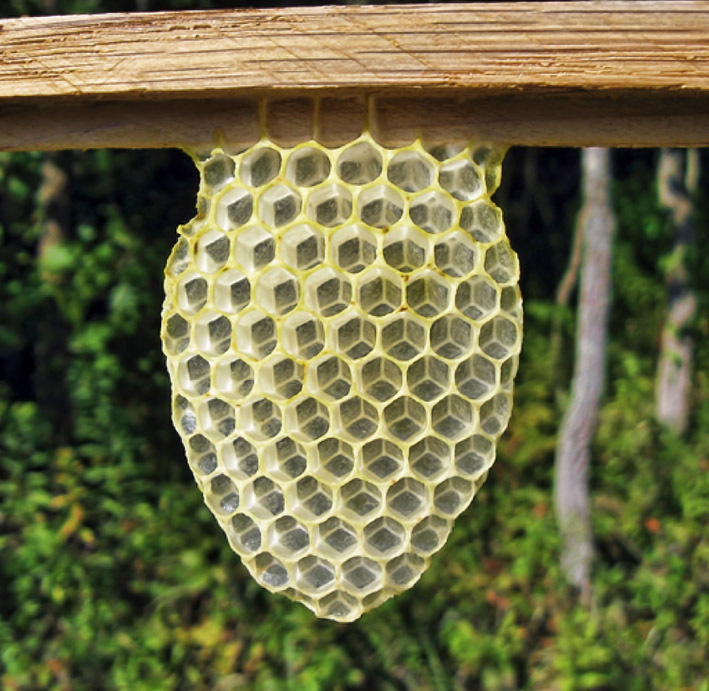 Do you want to regress your bees back down to a more natural cellsize in the broodnest? It can take some time and sometimes it’s a little bit tricky. Most often they fail to directly from what’s been most common for years now, about 5.4 mm, or 54 mm over 10 cells over the parallel sides. Down to what’s often talked about – 4.9 mm. There are many different stories. Without mentioning any other way down I go directly to the very quick and thus the cheapest way. 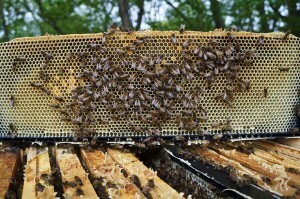 Mann Lake Ltd – http://www.mannlakeltd.com/beekeeping-supplies/page19.html – has a standard frame, their cheapest plastic frame, a good sturdy frame, in yellow or black, in full depth Langstroth or medium size. It happens to be below 5.0 mm, almost 4.9 cellsize. And its cell walls are high enough to be very difficult for the bees to override. 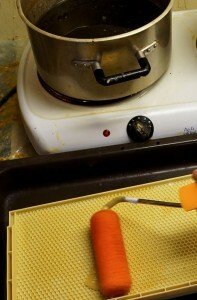 So – take your ordinary package bees or whatever bees and give them waxed PF100 (Full depth) or PF120 (Medium). They will follow the pattern and draw nice 4.9 (almost) combs. Anyway I havn’t heard of anyone who has failed yet. After a couple of broodcycles you can add wax foundation if you want to, or use foundationless frames if you want to try that. This beekeeper did that – http://www.eccentricbeekeeper.com/hives/medframe.html – he used glued popsickle sticks as starters for the bees to draw comb. Another good reason for using plastic frames or foundationless is that you can be sure the wax is (almost) residue free. Chemical residues can be problem if it it’s more than just a little. 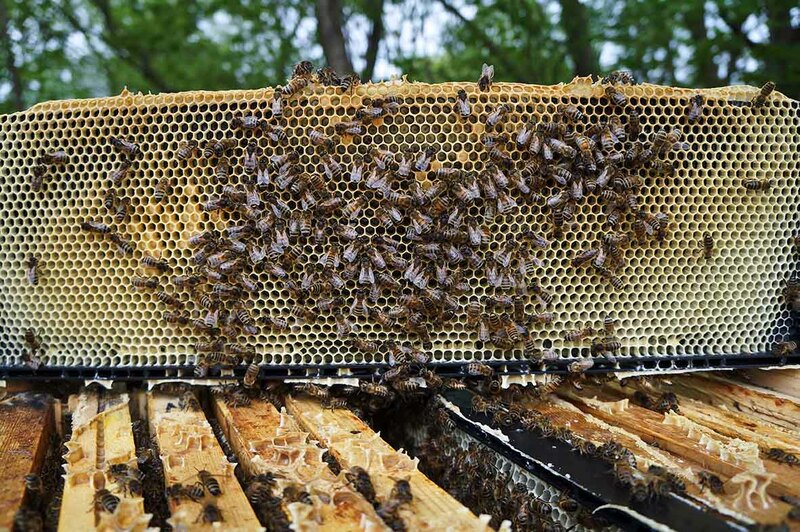 One of parameters behind the complex that kills our bees. This entry was posted in Cellsize, Featured and tagged ccd, chemical residues, foundationless frames, plastic frames, small cells, varroa by Erik. Bookmark the permalink.